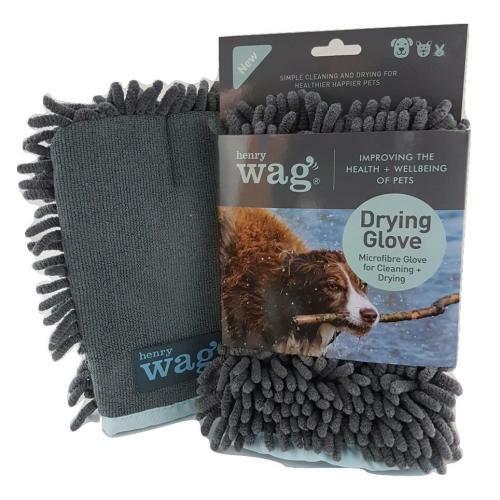 The Henry Wag Microfibre Pet Drying Glove is a high quality cleaning glove that's ideal for absorbing water and providing maximum cleaning on your pooch's coat. What's more, it features a finger grip to reduce slip when in use and a durable inner liner. All in all, an excellent solution to dirty, wet pets.